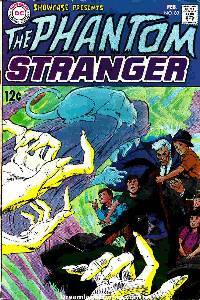 1st Silver Age appearance of the Phantom Stranger in "Men Call Me the Phantom Stranger." Dr. 13 co-stars in "The Ghost-Breaker." One-page text feature about the Golden Age Green Lantern. Neal Adams cover.